Cyber Monday e-Book Freebies & Bargains!! Sandy found us this Kindle Fire Cyber Monday deal on Amazon!!! 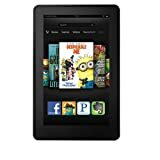 “Our $159 Kindle Fire (Kindle Fire 7″, LCD Display, Wi-Fi, 8 GB) is available for $129 today, limit one discount per customer. The Mighty Storm by Samantha Towle <— AMAZING DEAL!! My favorite rock star book of the year!! MUST READ. Angst, romance, intensity, angry moments. OH YES!!!! And don’t forget, WIND, YA Paranormal Romance is only $0.99 today only!! Running Barefoot is one of my favs!!! Is it just me but do you get almost ever free book that is on the list???? Just got Wallbanger. Been waiting for that one to be released. Maryse I think what your doing with this wonderful blog is keeping all us ladies very entertained , and I love it! now I am happily addicted to reading! Ok, I just read, Because you’re the First. Loved it. This book takes you through a life time journey. You feel what Cameron and Kassandra. It a love story that keeps you at the edge of your seat. You literally want to step in and say, Hey dont listen to that, listen to your heart. I really loved the characters, this is a heart wrenching story. But like the love sickos we all are I am sure this our group here will love it. The price is right, FREE. Just read Because You’re the First, which was on your freebie list. Thanks for passing that on! I almost wouldn’t call it a romance novel; it’s so much more. There’s MAJOR angst and I’m still thinking about it! Just read Because You’re the First, which was on your freebie list. Thanks for that… It was great! I almost wouldn’t call it a romance; it’s so much more than that. Major angst and I keep thinking about it!